Serves 4. Preparation time 10 minutes. Cooking time 20 minutes. • Rub the steak with the olive oil and teriyaki sauce and braai over hot coals to your liking. (For this dish the steak is better on the rare side of medium.) Rest for 10 minutes and slice thinly. 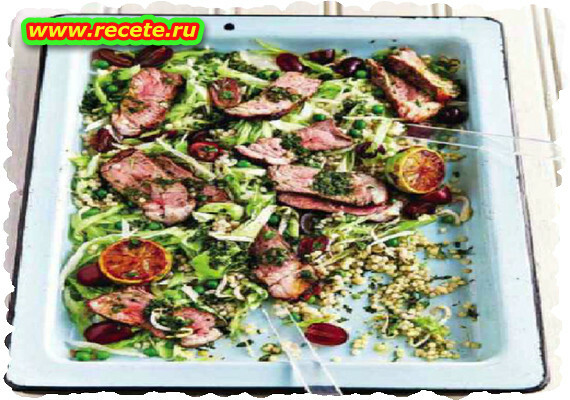 • Put the cooled couscous, peas, bean sprouts and grapes on a platter with the lettuce. Arrange the steak slices on top. Mix the oil, lime juice and zest, chilli and coriander into a thickish paste and drizzle over the salad.